Social Media is not just about accumulating “likes” and “followers”, it is about interacting with your consumers directly on a regular basis, it has come a long way from just letting people know you exist to reaching out to them, working with them, providing them help with your products and services. Since time is of the essence for anyone managing a business, it becomes difficult sometimes to interact with your customer on a daily basis, and sometimes it is just not feasible to hire an in-house help. 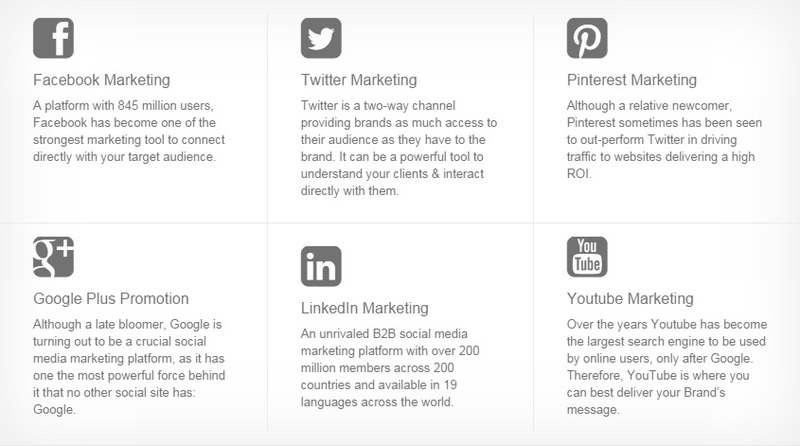 This is where our Social Media Experts can be of great help, getting your business the right exposure. The growth of any company or business is partially based upon basic networking and therefore it makes common sense to make sure that people come across positive things about your company and your products/services. In today’s competitive market, every business needs to ensure that the people who are “liking” your page end up getting up to date and interesting information on the deals that are being offered or new services that are coming up or anything interesting that keeps alive the business-consumer connect. Consumer behavior has changed drastically over time, people don’t just search products or services they want to buy online, they research the internet for information before making a decision or purchasing a product or service.